The hero had been killed during battle, a man was sentenced to death by burning at the stake. The man’s death had saved the kingdom’s dilemma, and brought peace to the continent. Time flows on, and one mysterious child was born in the countryside. His name is Marco. As war broke out once more, leading an army, he had rose to prominence, bearing an appearance resembling the man who had been killed inside the fire. Fanning the Flames of War! It's a good story about a mysterious child in a kingdom on the verge of war, it's pretty clear the MC has memories and mystic powers, swag or something but it's not pushed in too your face. The interesting thing is that the story has the MC at the focus but it's not mainly his point of view but the people around him and how his action affect things. And the people clearly know he is not normal, which is nice because is in some novel a MC would do... more>> something outrageous and almost no one would care. Can you imagine how unnerving it would be to see a 6-7 year kid talk about economics, military and advanced mathematics. Like a experienced veteran. Like wtf and this novel has that. Great story. 9/10 read it would read again! Reincarnation of the legendary wiseman starting over from scartch. All I can say is that everything is made too convinient for the MC. And all it sums up to is the word "fate". Now theres nothing wrong with a fated meeting... but in this novel, its just used too much that it feels ridiculous. All these grown man, officials, knights, or even bandits just prostate to him the moment they see him or talk to him and becomes his loyal blind follower just like that. To a boy thats not even ten... more>> years old..
can you imagine a war bandit thats notorious on slave dealing just drop on his knees after he sees a smart alek kid that looks cold on the outside? The story isnt bad per se, but how easy the author made for the MC is really off putting for me. While it should be done in a more better and more believable way than something cheap as fate. 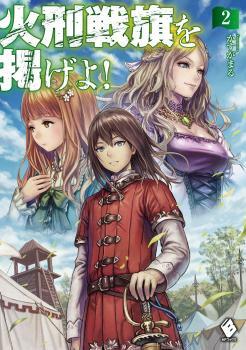 A nice story written in actual novel form and not about Japanese people getting reincarnated in rpg-like fantasy world. It's a breath of fresh air. And as the previous reviews have pointed out, each chapter is written in a POV of the people around the protagonist therefore giving him an air of mystery. Uwaah this novel is awesomely sick (in a good way), I forgot to make it in reading list and now I find it again. Recomended if you're sick off your usual isekai with harem, cuddling with girls, too OP, cliche plot, game element. I loves me a little something different, and this is the good stuff. The story is told mainly from the POV of the MC's followers, rather than the MC himself, so there's this great quality, (patchwork quilt? Stained glass mosaic? ), a larger story formed from the actions and opinions of these secondary characters. There's no info dump about the MC's past, and as he doesn't spend any time talking about it himself, the reader is the one who pieces the bits together to see the character inside. The secondary characters... more>> are well written, with understandable and sympathetic motivations. Together, it becomes a massive movement towards a future I can't wait to read. The novel takes place primarily from... more>> the viewpoint of the people the protagonist, Marko, meets, or in some cases re-unites with. Most chapters are usually self-contained stories of each individual person meeting with him. It's also very important to note that we never see the perspective of Marko himself, and that is probably something that will likely not change for perhaps the rest of the novel. That in itself is something interesting but also is where my problem in the novel lies. The problem is that the story is told in fragments, each a fairly significant time apart, from the perspective of an entirely new person. As a result things tend to get confusing when various events happen between each meeting and we aren't even shown the perspective of the main person tying everything together. I feel like there's too much happening outside of the perspectives of the new characters that I'm so left in the dark I can't be invested in anything that's happening. Synopsis reminds of of Jeanne d'Arc. Well, I'll rate and review after reading up to current chapter. The novel is written in a episodic format with each chapter being told from a different PoV. It may get confusing at times while following the story. The author also writes about future events and uses versions of "but that's a story to be told another time" which breaks immersion and is a lazy way to end a chapter. The story also seems to be written in a format that is often just "telling"... more>> you what happens instead of trying to immerse you in it making it a tedious read. I would also say about 30% of the chapters is just the side-characters praising how awesome the supposed main character is.